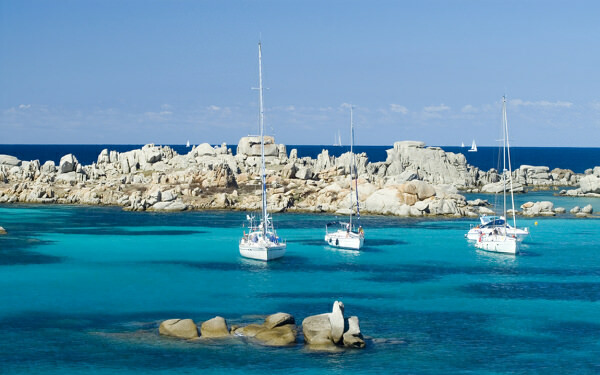 If you are looking for an action-packed day and you want to visit a selection of the most beautiful places in the Sardinia-Corsica Archipelago, we recommend a mini-cruise with our fast motorboats with a maximum of 12 guests. Crossing the Straits of Bonifacio is always an exciting experience, and often made more so by seeing dolphins in their natural habitat. 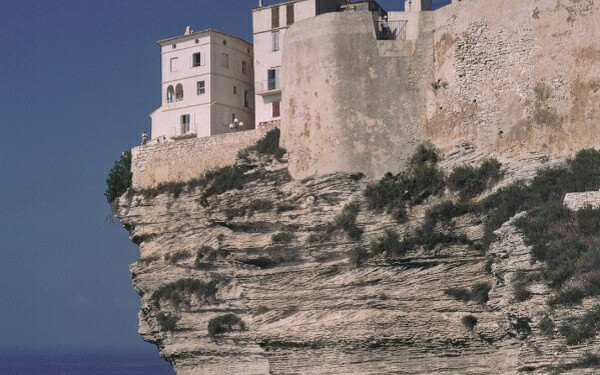 This round trip leaves directly from the beach at the Valle dell’Erica reaching first the Straits of the same name, then moving on to the characteristic town of Bonifacio for a pleasant trip around the historic part of the city. Our trip continues along the south-east coast of the island towards Capo Pertusato, passing below the high limestone cliffs to reach Punta Sperone and the spectacular tongue of sand that is Isola Piana for a first bathing stop; after a delicious lunch prepared by the Resort’s chefs, we continue to the island of Lavezzi where we disembark near the beach, either for a relaxing walk around the island, a chance to discover the beautiful sea beds, or simply to relax on the beach. Towards the end of the afternoon, after a snack prepared by the crew, we return to the hotel. The Pulcinella is a period Norwegian wooden sailing ship dating from 1927, completely restored, with the characteristic red sails and which is ideal for a day of authentic adventure. 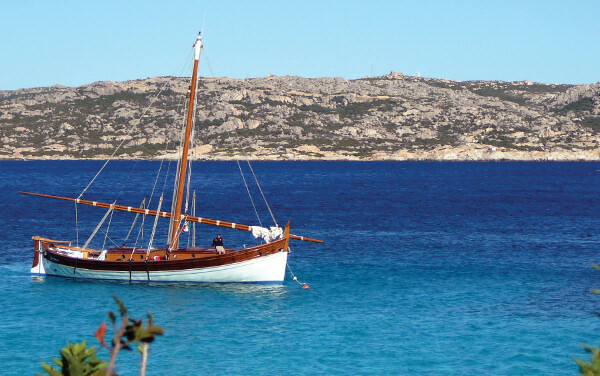 The itinerary includes a trip around the island of the La Maddalena Archipelago and the northern Gallura coast with stop-offs at Budelli on the Cavaliere beach and the island of Spargi. A delicious “5 star” lunch on board, with sea food and typical selected local products will be served together with a good wine from the gentle Gallura hills. Service on board is guaranteed by the crew who will stay with you throughout the day. The tour makes use both of the engine for the outward leg and sails for the return. Depending on weather conditions, an alternative is possible taking in the Island of Piana in Corsica. 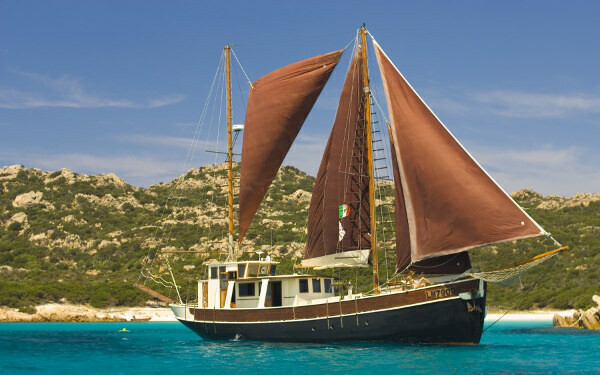 A breathtaking journey on a comfortable and elegant wooden lateen rigged sailing ship: unforgettable trips in the National Park of the La Maddalena Archipelago and the Straits of Bonifacio. Exclusive itineraries for you to discover, get to know and love the ultimate Mediterranean paradise. During the trips, lunch on board is prepared using local gastronomic specialities. 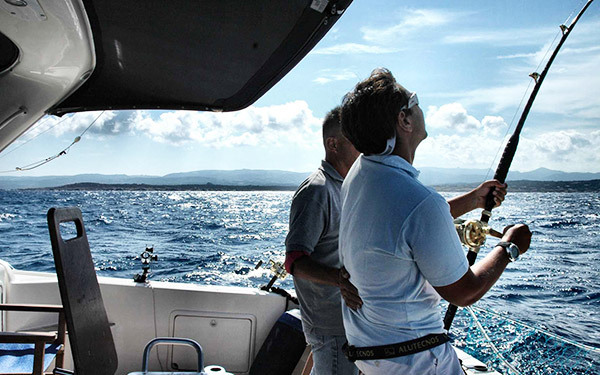 Sport fishing enthusiasts can take part in exciting fishing expeditions of all types, trolling, deep sea, drifting, and “bolentino”, surface or drifting; prestigious craft and expert skippers guarantee a made-to-measure top quality service. 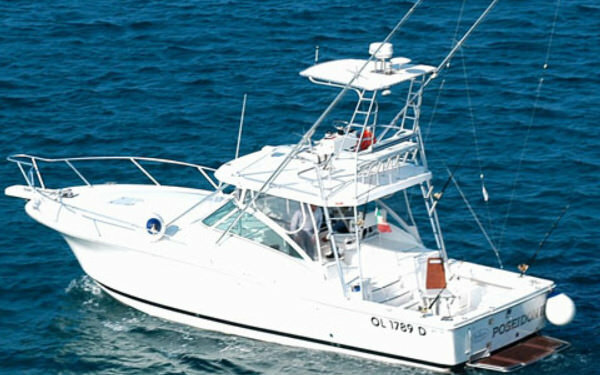 These fishing trips are all-inclusive, and give you an adventurous and entertaining day on the high seas. 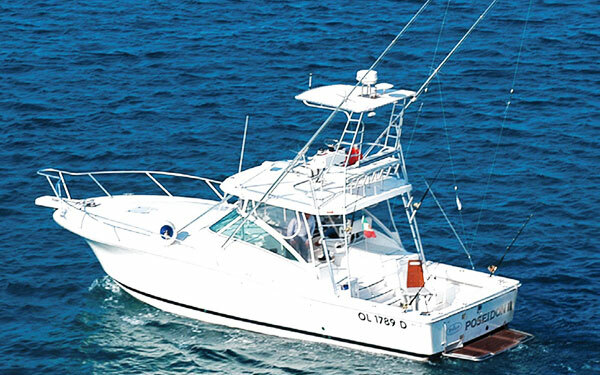 A prestigious fleet of boats are at your disposal directly at the hotel. 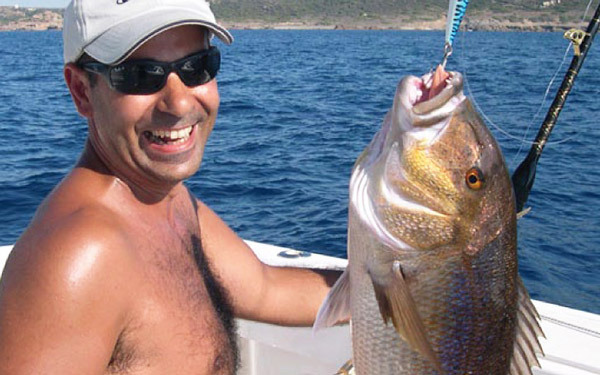 Expert skippers will accompany you along the most hidden coasts and bays for an exclusive and unforgettable trip. Attentive service on board, personally selected menu (when you book), delicious champagne aperitifs and one dive after another into the waters of the most transparent archipelago on the world – the most exclusive way to enjoy the seas of Northern Sardinia. Kayak and Stand Up Paddle, Trekking and Mountain bike in Gallura. 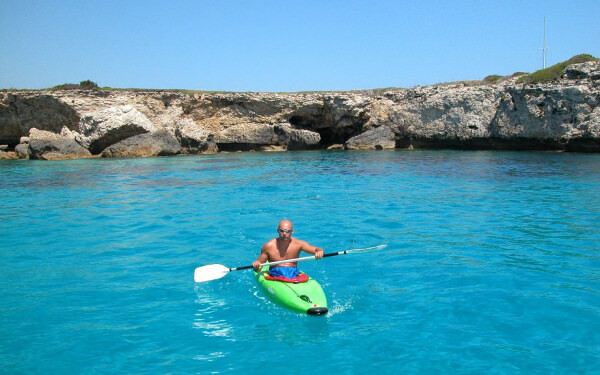 Kayak e Stand Up Paddle: an incomparably beautiful experience that allows you to fully appreciate the beauty for which Sardinia is world famous. Experience the sea in an intense and above all silent way, using a means of travelling that allows you to stop where you want, to swim, and to explore long stretches of otherwise inaccessible coastline. 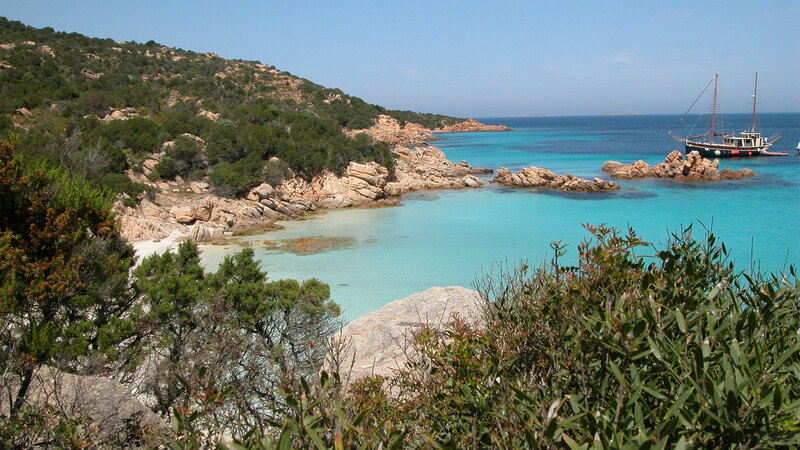 Trekking in Gallura The attraction of the landscape and the scent of the Mediterranean scrub are the travelling companions for the visitor on these suggested routes, which are real experiences of total immersion in the natural environment. In choosing these routes, great attention has been paid to finding breathtaking scenery, natural monuments, elements of geological, floral, wildlife and historical interest. They represent an excellent opportunity to get back to nature and to look more closely at natural and archaeological topics thanks to our expert guides and sector specialists. 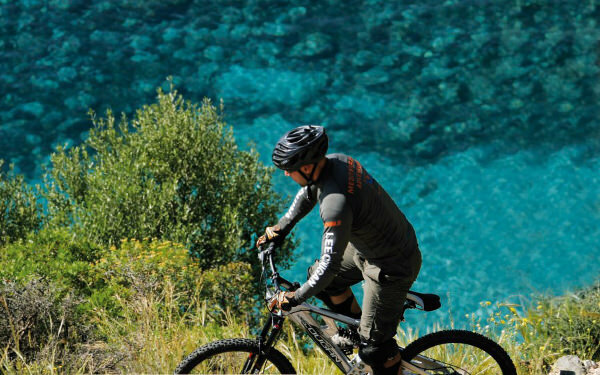 Mountain bike in Gallura: these mountain bike rides take place in a spectacular setting and provide a variety of views and sights, following dirt tracks, delightful single lane roads, smooth ascents, fast descents, and sharp bends with no end in sight. Wonderful excursions where the effort is amply repaid by frequent sightings of wild animals, admiring rare botanical species and the possibility of visiting archaeological sites and appreciating timeless natural wonders. Service available on request. The routes chosen may vary depending upon the speed of the individual or group and what may realistically be achieved in a period of time that will vary from 3 to 8 hours. 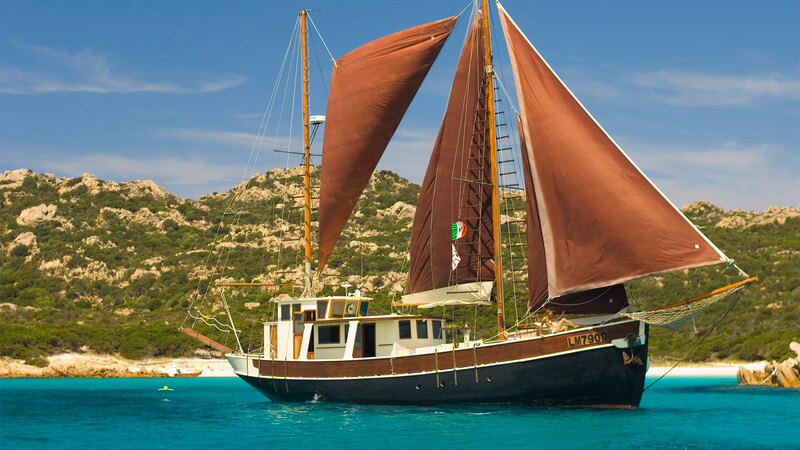 For those who only want to spend half a day exploring the La Maddalena Archipelago and be back at the hotel in time for lunch at the splendid buffet and then enjoy an afternoon rest, we suggest a Mini Tour of the islands. This excursion follows some of the most enchanting routes around the archipelago. 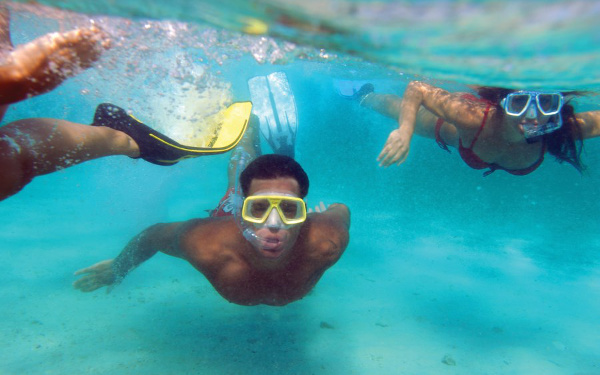 This delightful trip is broken up along the way with two or three stops in some of the most enchanting and least visited corners of the National Park, for an invigorating dive and a short stop for a swim directly from our comfortable boat. The coastline is particularly rich in marine flora and fauna, and for those who are curious and want to admire the crystalline Sardinian sea beds here in Gallura with just a mask and snorkel, we suggest the Sea Safari, an entertaining guided excursion which in addition to looking at the marine eco system also lets you conduct your own active research together with the chance to see dolphins and other examples of flora and fauna. This half-day excursion uses a fast motor boat whose itinerary varies according to the weather and sea conditions, and which includes the islands of Caprera and Spargi with the chance to visit at least three islands and two stops for an entertaining swim. The Gallura hinterland is a fantastic resource for the North of Sardinia, a tableau of well-maintained and presented traditions in a fabulous natural setting. 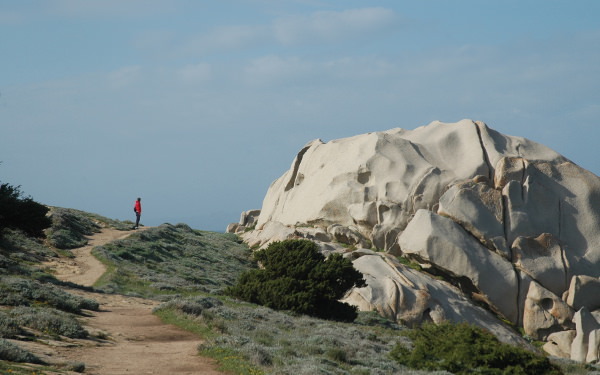 In this trip we offer a particularly interesting route which arrives at the heart of this ancient region passing through gentle hills covered with those famous natural spectacles carved by the Mistral wind on those centuries-old granite rocks. 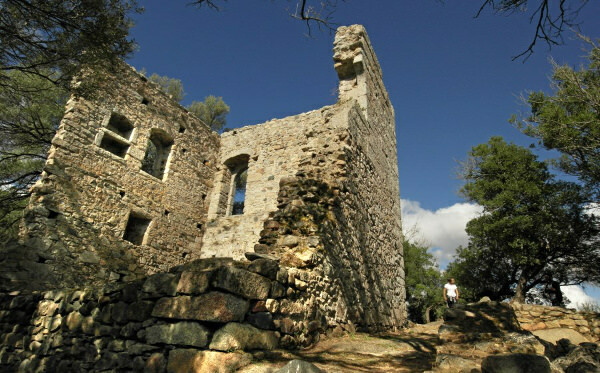 During the first stop, it will be possible to visit the famous Giants’ Tombs, ancient remnants of the prehistoric period and after having travelled through the luxuriant Gallura countryside, which is itself an open museum window onto the 19th century and the culture of the “Stazzi” (small peasants’ houses), we arrive at the geographic heart of this granite region, pausing for a brief stop in the pretty village of Luogosanto. 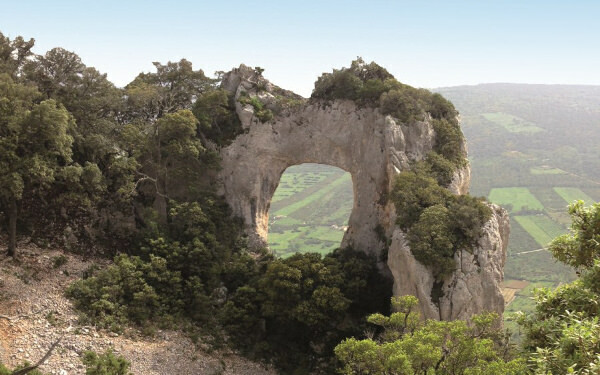 After a short visit to the Basilica, we continue to the panoramic viewpoint of the Hermitage of San Trano which offers a magnificent view out as far as nearby Corsica. An abundant tasting of local products briefly interrupts our discovery of this area, after which we continue with a visit to the ruins of the Castello Baldu. Passing through the country around Arzachena, we arrive at the La Prijona Nuraghe, a majestic symbol of both the island and Sardinian history itself. 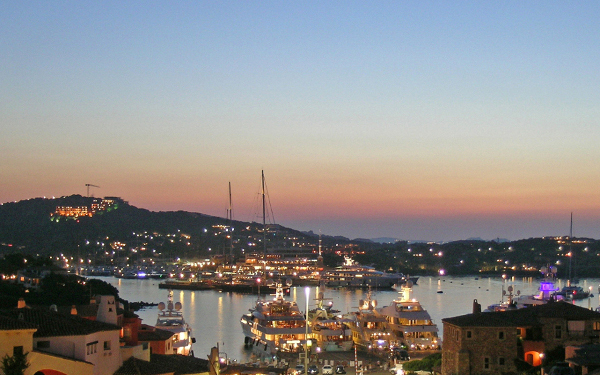 For those wishing to enjoy a romantic evening along the streets of the most jet-set town of the Costa Smeralda, we offer a guided tour allowing you to admire Porto Cervo and its surroundings, and to walk around at your leisure, admiring the splendid buildings and architecture at sunset.